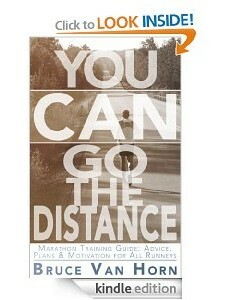 Long Run Recovery - You CAN Go the Distance! This chapter is all about recovering from your Long Runs! Did you get in a Long Run of 12 or more miles? Did you run it slowly like I recommended? I hope so! Why do I need a recovery period? While I am no doctor of sports medicine, I have learned the basics of how muscles develop strength. You probably have, too, but it does not hurt to review and think about it in a metaphor. We do not build strength while running. We build strength while resting! You do not build strength while you are actually doing a strenuous activity like running or weight lifting. Those activities, while you are doing them, stress and tear down muscle tissue. It is during the rest/recovery period that your body rebuilds the muscles and makes them stronger. Think of it this way: Let’s say our muscles are like levees that keep a river from flooding the town. When the flood comes, torrents of water stress the levees and start to break them down. Engineers know that it is pretty useless to try to rebuild or repair the levees while it is flooding. However, when the flood waters recede, they inspect the damage and make repairs in such a way that the levee will be better and stronger in those weakened places and ready for the strain the next time a flood comes. Our bodies handle stresses in much the same way. When we are out doing our Long Runs, or speed and tempo workouts, we are bringing a flood of stress to those muscles. Our body tries to meet the requirements as best it can at the time but the process of exercising actually strains and tears the muscle fibers making them weaker. However, while we rest, the body is busy at work repairing the muscles, making them stronger in anticipation of you doing the same thing, or worse, the next time you run. If you fail to give your body enough time to make the necessary repairs, the muscles will continue to weaken and you will suffer an over-use injury and jeopardize your entire training plan. You can recognize an over-use injury like this: your training has been going great, you are running strong and feeling like you are ahead of your training goals. Then, out of nowhere, you blow out a knee, or twist an ankle, or get a sharp pain in your hip that just won’t go away. Over-use injuries are from not allowing the muscles that support those joints to have enough time to recover and rebuild, so they weaken and your joints pay the penalty! Do your body a huge favor. Give it the rest it needs. It will reward you with strength! I know many marathon training programs have you running 4, 5 or even 6 days a week. Personally, I think this is too much. I actually only run 3 days a week! I know my body and I know I need the break between workouts. I run on Tuesday, Thursday and Saturday. I cross-train or just rest on my non-running days. I will add, however, that it may be OK for you to be running 5 or 6 days a week as long as a few of them are just leisurely jogs, not intense training runs. And I’m OK with what are called “recovery jogs” as long as they are exactly that: slow, short jogs simply for the purpose of loosening up and working out the stiffness. How do I rest after a long run? Well, that’s easy enough. I just rest! I get off my feet as soon as possible. While I still have to function and interact with my family, I try not to do anything rigorous for a few hours after my run. I normally take 2 days off after a long run. I usually do my long runs on Saturday mornings, so I don’t run again until Tuesday morning. By that time, I am usually recovered and ready to start another training week. What do I eat and drink for long run recovery? Not only do your muscles need the rest in order to rebuild, they need the proper supplies—just like rebuilding a levee! You need to give your body lots of fluid and lots of nutrients! The most important thing to do after a hard workout, especially a Long Run, is drink! Even though you were (or you should have been) drinking during your Long Run, your body needs as much fluid as possible to wash away the acids and waste that accumulated in your sore muscles. Protein is also very important for recovery. I like to eat cottage cheese or plain Greek yogurt with fresh blueberries or sliced apples after a Long Run. I also like to drink chocolate instant breakfast mix in 2% milk. I also love fruit smoothies as a recovery drink! So, you’ve done your Long Run! Now, give yourself the reward of ample time to rest!